How Far is Sukrithi Varishtaa? 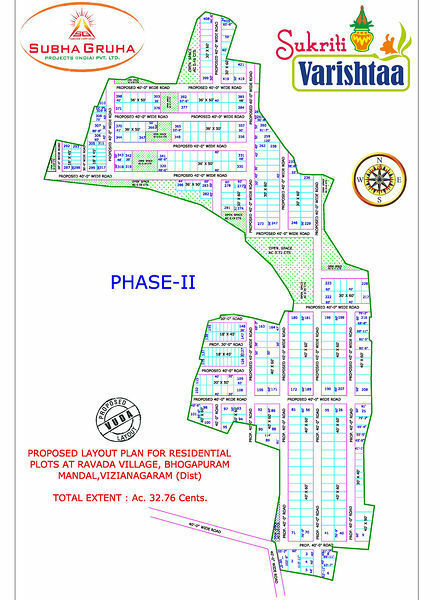 Sukrithi Varishtaa is a well planned, VUDA Layout, Integrated township at Vizag. This offering from Subhagruh comes with an assorment of excitting features. The location of the projects is amidst a pleasant and serene surroundings. As it has always been, Subhagruha is committed to complete the projects by taking that extra mile to keep up our customer centric values. Sukrithi Varishtaa comes with clear title and is Vasstu compliant. Striking hill ranges with natural valleys and excellent coastlines with prisitine beaches makes Vizag one among few cities in India which goes hand in hand with natural splendour. The city also has many famous religious landmarks which makes it a renowned destination for spiritual harmony. Based on customer convenience, lifestyle and future the company had make sure that the location of the site should be located in such a way that it covers different aspects like education,development,travelling and lively-hood. The Varishtaa was surrounded by nearly 20 to 25 IT SEZ Companies, well developed VUDA Housing Project, Highly Reputed Educational Institutions and also Natural Beaches.